I am in the middle of a power outage. Three hours ago, the power went out in our area and over 5000 homes are dark. My laptop has about 5 minutes more of power. PG and E is hunting for the problem. So…..since I have only a few minutes left on my laptop, I thought I would just post one of my favorite videos. I hope its one of your favorites too. Maybe we will get some news tomorrow and hopefully, I will have power back tomorrow to report on the news!! Hope you get your power back! Musicfan….I hope your power comes back on soon. How terrible. Thank you so much for that video. 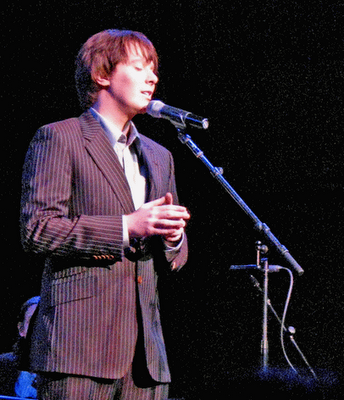 Clay Aiken takes my breath away singing Solitaire! My favorite video of Clay singing "Solitaire." I think he is so handsome in that suit. I love Clay singing that song. Nobody does it better! Thank you so much for the Video..even though you lost your electricity. I'm sure you have it on by now. Error: Error validating access token: Session has expired on Tuesday, 21-Aug-18 16:13:01 PDT. The current time is Thursday, 25-Apr-19 08:33:40 PDT.